Why your content marketing strategy should focus on search engine optimisation (SEO) topics — not just keywords — to differentiate your B2B marketing. A great shift is taking place in the world of search engine optimisation (SEO) results. Brands are reorganising their webpages and rearranging their content to adjust to the changing landscape. But there’s a new form of search engine optimisation (SEO) on the scene: the topic cluster model. 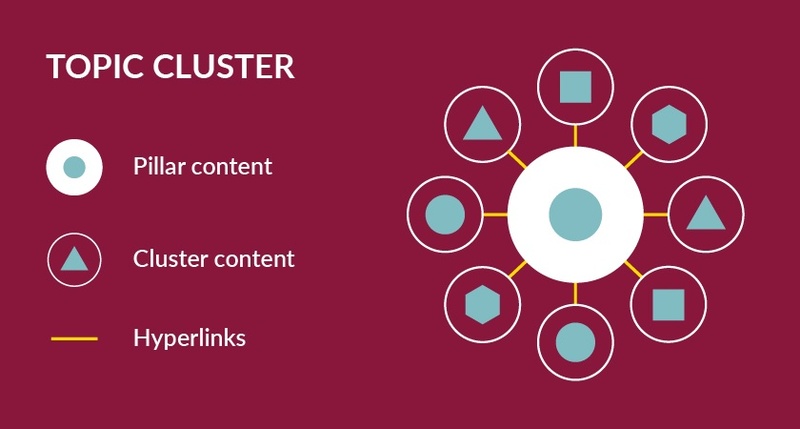 The topic cluster model consists of a single central ‘pillar’ page linking to multiple items of cluster content that all link back in turn to the main pillar page. The network of hyperlinks is a signal to search engines that your central pillar page is an authority on the topic in question. This internal linking structure can then influence search engine optimisation results to boost your ranking higher. Search engines are becoming more intelligent and more attuned to user intent. 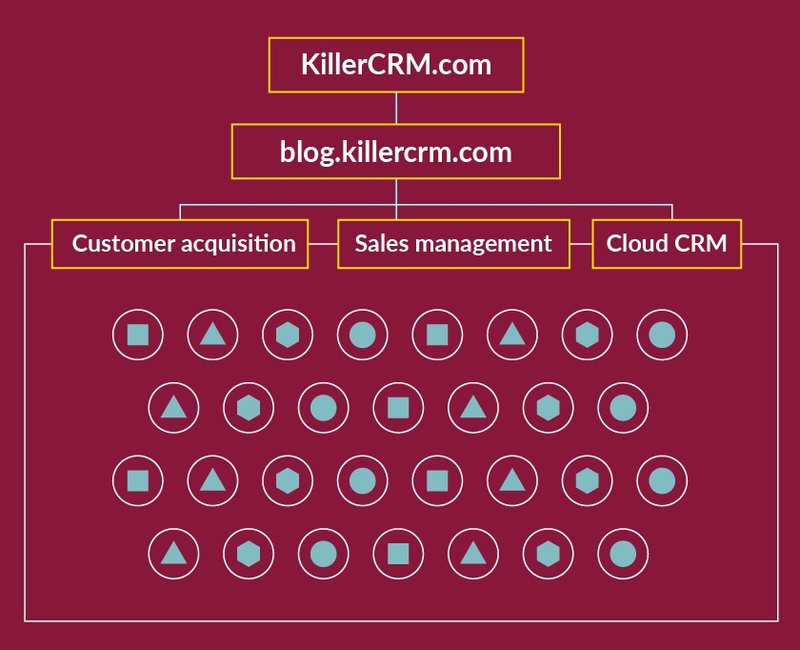 At the beginning, you had to type in fragmented keywords such as ‘Business CRM’ or ‘integrated CRM solution’. Today, searchers are confident in using more natural and complex queries, like ‘which is the best CRM’ or ‘can I afford a CRM right now’. The onus is then on the search engine to intelligently connect them to relevant content, regardless of whether the wording used is the same. To fulfil this need, the algorithms are now geared less towards keyword matching, and more towards contextual intent and topic areas. In 2013, Google’s Hummingbird update saw the algorithm move to parsing out phrases, ending the era of solely focusing on keywords to identify context. Later on, in 2015, Google’s RankBrain update was the next big change, harnessing the power of machine learning to understand the context behind search queries, by using data from past searches to optimise results. How do topic clusters affect search engine ranking? What does this mean for website structure? The typical website structure consists of a master URL with a homepage linking to subdomains and subdirectories (for example a blog). The addition of new content and new blog posts over time results in a spread out, complex mass of content without any uniform linking structure in place. Often you also end up with similar pages covering similar topics and competing with each other to be found on search engines. This is confusing, both for the search engine bots and for the end user. The answer is to arrange your content in a more orderly and thought-out way that indicates which pieces are key priority, using links to create clusters with clear structure and hierarchy. You look through all your existing content pages and cluster them together by the topic they refer to. Then, if necessary, you create a central pillar piece of content that is comprehensive and authoritative on all the aspects or subtopics covered by the individual bits of content. Finally, you link all the subtopic content to the central pillar piece, which should also link to the individual subtopic items. 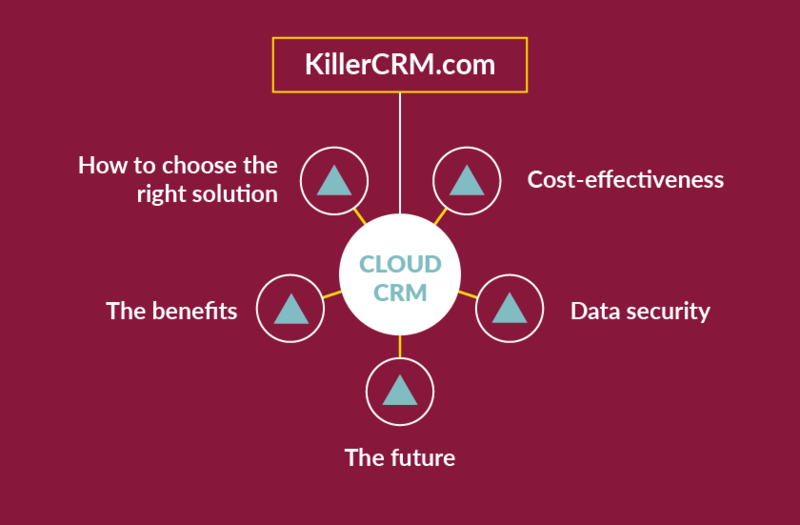 Let’s take one of these topics as an example: Cloud CRM. Central pillar pages are broad and comprehensive, with the potential to spawn or link to many different items of content that are specific, each dealing with just one subtopic. Use the same anchor text to link from the central pillar to each of the subtopic pieces. This signals to search engines that they are all part of the same topic cluster. B2B needs to starting thinking more than just the search engine optimisation (SEO) key terms and move into topic clusters to maximise their content marketing strategies. The search engine optimisation machinery has changed to favour topic-led searches and contextual content results, as algorithms become more sophisticated and complex. This means that the old habit of relying on exact keywords is outdated. After a series of Google updates including Hummingbird and RankBrain, topics are now at the centre of the search algorithm. The new approach of topic cluster search engine optimisation is designed to help websites meet the challenges of how search engines work today. 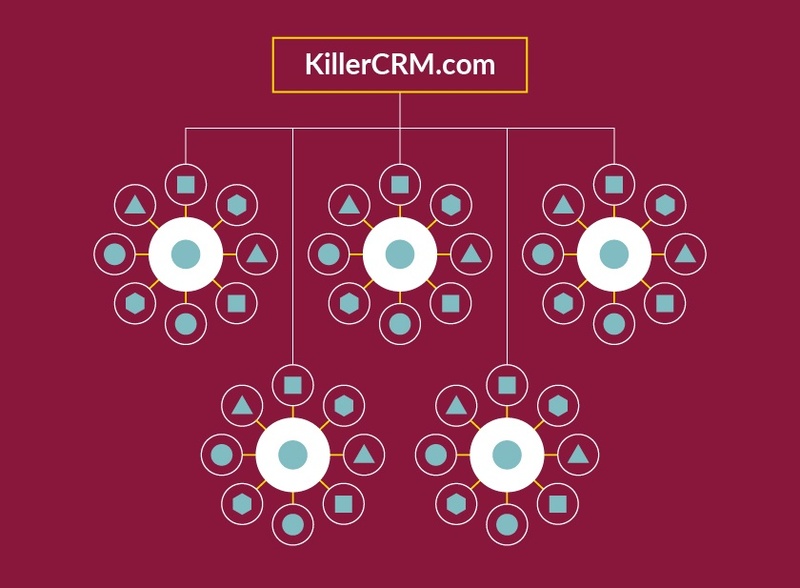 It focuses on clustering content into common topics and using link structure to signal contextual relationships. Each cluster consists of a central, broad piece of content (‘pillar’) that covers all the subtopics, plus a series of narrower items each covering a single subtopic. These all link to the pillar which links back to each, using the same anchor text. Research proves that the topic cluster approach leads to better ranking in search engine results, more impressions and more site visits. Want more inside information on how to give your content marketing strategies a competitive advantage? Check out How to survive in the era of killer competition.